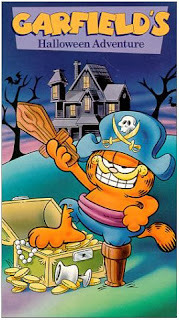 Discussion includes Garfield in Disguise from 1985, which was later renamed Garfield's Halloween Adventure. We also take a look back at The Fresh Prince of Bel-Air season one episode "Someday Your Prince Will Be in Effect." The Seavers are discused from the Growing Pains season six episodes "Happy Halloween Part 1 and 2."